Laser processing, electronics production, optical inspection, and many more automation solutions require dynamic, precise and at the same time reliable positioning systems that can be easily integrated into machines. 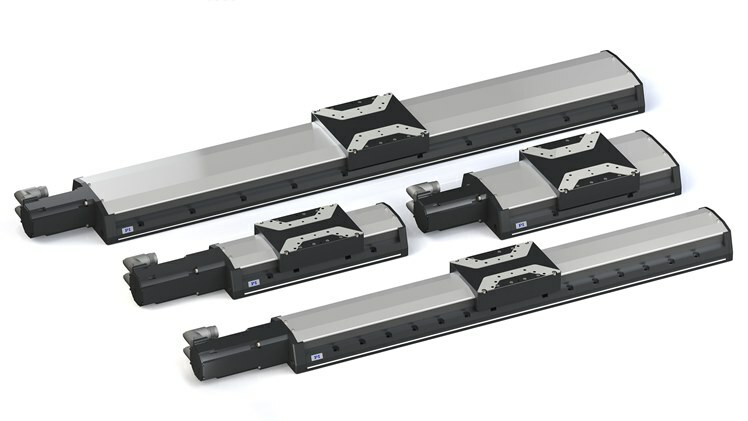 PI (Physik Instrumente) has therefore extended its product portfolio for industrial positioning solutions with the L-412 and L-417 linear stages. The individual types of the series differ in their width, 116 mm (L-412) and 166 mm (L-417), and are suitable for loads to 40 kg and 45 kg respectively. The travel ranges start at 52 mm and continue up to 813 mm; the maximum velocity is 300 mm/s. A vertical operation is also by using an optional brake. The stages are driven by high-performance, energy-efficient synchronous servo motors which, depending on the version, work at supply voltages from 75 V to 320 V. The robust, reliable motors position accurately up to a few micrometers thanks to high-resolution incremental or absolute encoders; they cover large rotation speed ranges and have high torque overload capacity. High torque and low inertia ensure high dynamic operation. The cable exit on the motors is flexible; this makes it easier to position the cable in the machine. The drive screw can be relubricated directly from the outside, therefore simplifying maintenance in hard-to-reach environments. Specially shaped hard covers protect against hot particles resting on the stage. In addition, side sealing and air purge connections (providing an internal positive pressure) in conjunction with the cover, prevent the intrusion of dirt or hot particles into the stage. Industrial connectors with bayonet locks facilitate the assembly and a specially-formed edge makes it easy to align the linear stages in the machine during installation. Motion controllers from ACS, a leading manufacturer of industrial control systems which has been part of the PI Group since 2017, may provide the automation control.